he characteristic that most distinguishes the great conductors of our time is the courage to identify with the work: the adventure of comprehending and interpreting. The personal perception and expression of the composition, the confrontation with the composers markings and the exploitation of the orchestra's character and virtuosity, all lead to a vital diversity in performances of a work. 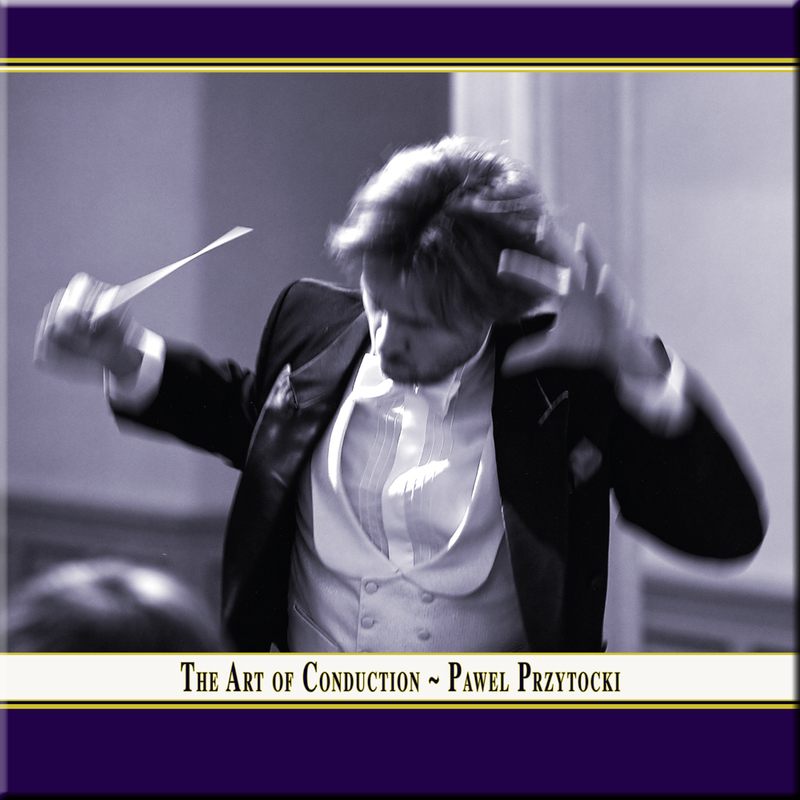 In our series "Art of Conduction" we present you conductors to whom a charm is attached, a magic personality that enables them to breathe new life into the works of the Great Masters. Although five years lie between the recordings of the two works and place, orchestra and composer can not be placed in the same context, the signature, the flowing expressive tension, the accurate dynamics that Pavel Przytocki demands from the work and from the orchestra are clearly recognizable. In our opinion, he counts as one of the most innovative conductors of our time. A concert with the Schlesische Kammerphilharmonie Kattowitz at the basilica of Maulbronn Monastery (Germany), September 15th 2002. Recording & Mastering Engineer: Andreas Otto Grimminger. Central Idea, Photos and Artwork: Josef-Stefan Kindler. A concert with the Beethoven Akademie Orchestra Krakau at the Castle Bad Homburg (Germany), November 10th 2007. This beautifully-recorded CD brings together two fine works in what can only be termed as superb interpretations by Polish orchestras. K&K are an extremely enterprising German label who have given us some outstanding recordings in the choral, organ and piano and genre from such wonderful locations as centuries old monasteries so their new attention to orchestral music is very commendable indeed. Mozart's 'Linz' is one of those works were a carefully nuanced approach reaps considerable dividends as the great Peter Maag amply demonstrated. Przytocki is a consummate interpreter bringing a beautiful lift to the First movement and a busy energy to the Finale which are two miraculously charged movements. He is also in his element in the lovely Serenade for Strings by Dvořák which dances around quite ravishingly especially in the bucolic scherzo. This CD receives plaudits all around from me and it deserves a hearty recommendation. The presentation is beautiful with large photographs and the distinctive K&K colours provide for a heady experience which is reinforced by the interpretations.